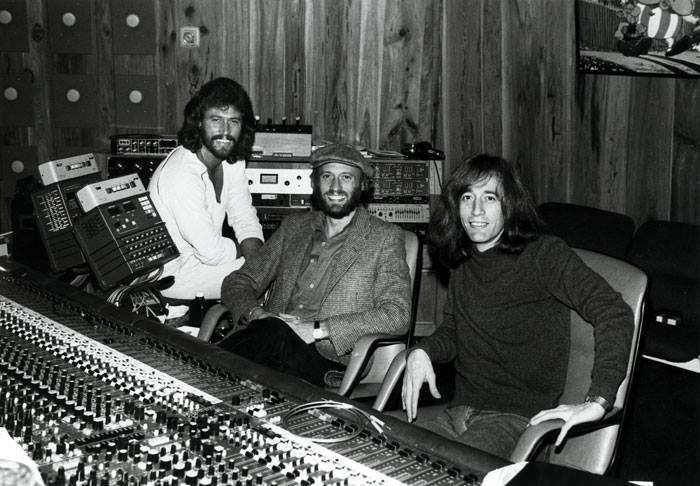 “My Bee Gees connection, my real tight connection was that I owned their recording studio. First I leased it to them, and then I sold them the building that they built Middle Ear Recording Studios in. I owned it. Right there on Miami Beach. When they first got here they were working at Mac Emmerman’s Criteria Studios in North Miami. The Bee Gees did all their recording here. Then, the building I sold them, Middle Ear, that was the studio they recorded every day. Not only themselves, but they also recorded Michael Jackson, and Barbara Streisand there. Photo of the original lease agreement between Henry Stone and Barry Gibb – ©Jacob Katel. All Rights Reserved. The Bee Gees and I knew of each other because of Saturday Night Fever. We both had tracks on there. We’d had conversations before. We were familiar with each other. So I leased ’em the building that I owned across the street from my accountant’s office. Last I checked, the building was still there.